Incorporates security features recommended by the National Check Fraud Center. Compatible with most money management software programs. 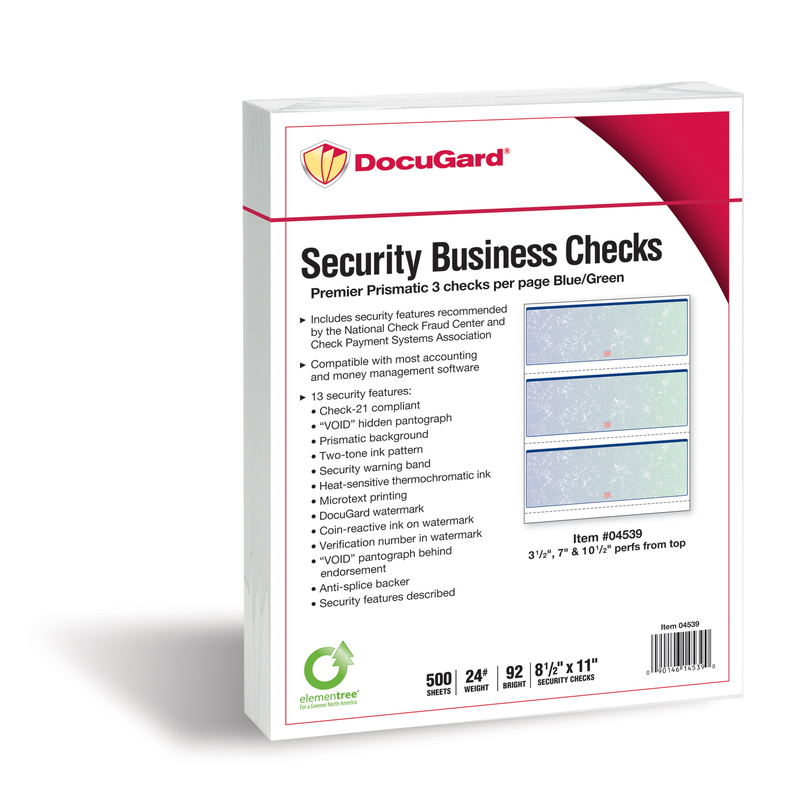 Security features include: Check-21 compliancy, "VOID" pantograph on the front and back, erasure-resistant background, security warning, anti-splice backer, security features listing, watermark, check verification number, patterned background and microtext print. 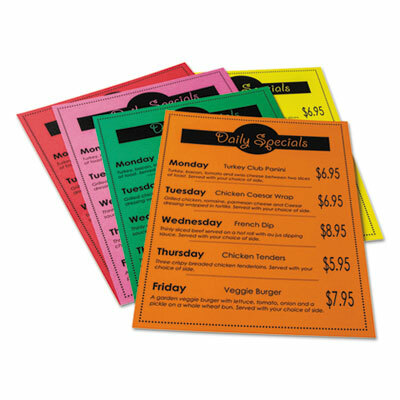 Also Features heat-sensitive ink, and a two-tone erasure resistant background. 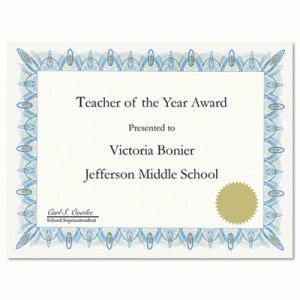 Size: 8 1/2 x 11; Paper Color(s): Blue/Green Prismatic; Paper Weight: 24 lb; Sheets Per Unit: 500. High-capacity clip lets you get a grip on large stacks of paper. Durable construction. 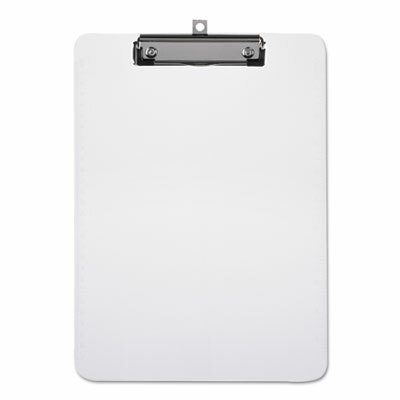 Holds Paper Size: 8 1/2 x 11; Clipboard Actual Size: 9w x 13h; Clipboard Material: Hardboard; Clip Capacity: 1". 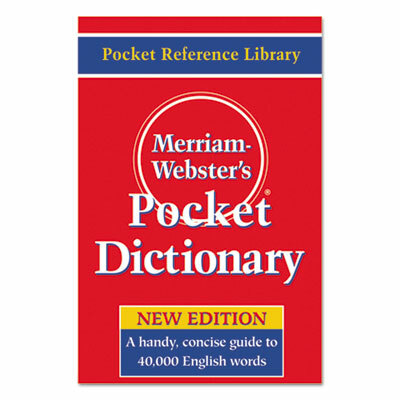 The perfect dictionary for quick, on-the-go language reference. 40,000 entries. Clear, concise definitions. Pronunciations and variant spellings. Brief guide to punctuation. 416 pages, paperback. 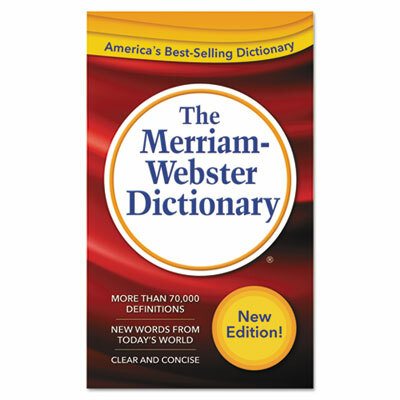 Reference Book Type: Dictionary; Subjects: Language Arts; Age Recommendation: Ages 12 and Up; Language(s): English. 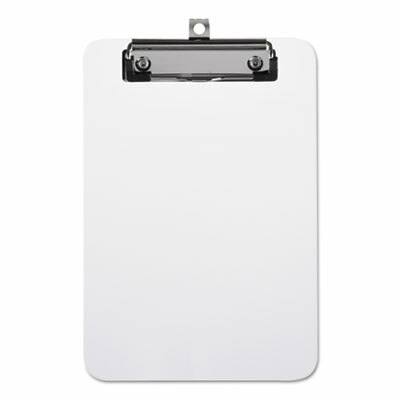 Heavy-duty, weather-resistant aluminum clipboard features a smooth writing surface with rounded corners and edges. Low-profile safety clip eliminates the possibility of accidental openings, while making the clipboard easier to store in briefcases, file cabinets, laptop bags and more. Sized to accommodate standard, letter-sized documents. 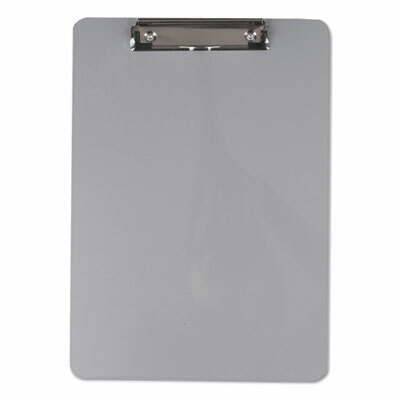 Holds Paper Size: 8 x 11 1/2; Clipboard Actual Size: 9w x 12 1/2h; Clipboard Material: Aluminum; Clip Capacity: 1/2". Low-profile safety clip eliminates the possibility of accidental openings, while making the clipboard easier to store in briefcases, file cabinets, laptop bags and more. 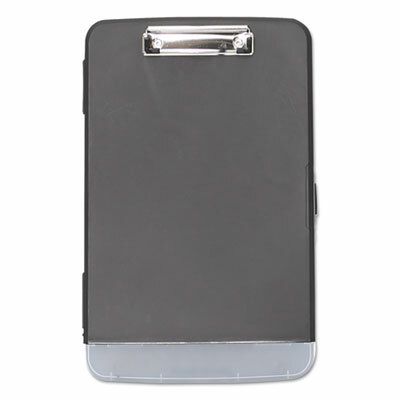 A high-tension spring and rubber grips along the clip's edge ensure that your documents are held securely in place. Retractable hang hole. 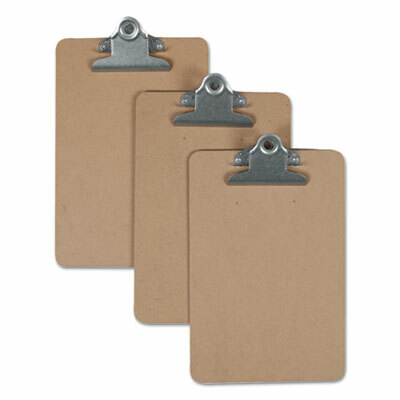 Holds Paper Size: 5 x 8; Clipboard Actual Size: 6w x 9h; Clipboard Material: Hardboard; Clip Capacity: 1/2". Shatter-resistant plastic construction ensures durable performance in the most demanding environments. 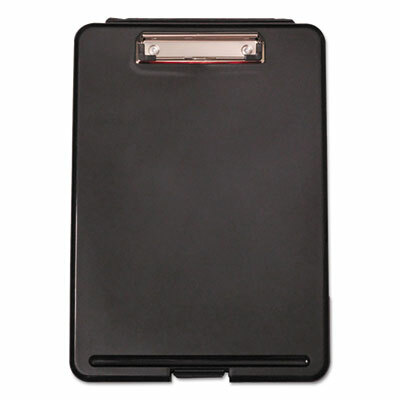 Low-profile safety clip eliminates the possibility of accidental openings, while making the clipboard easier to store in briefcases, file cabinets, laptop bags and more. SAE and metric rulers on either edge of the clipboard provide added convenience and improved functionality. 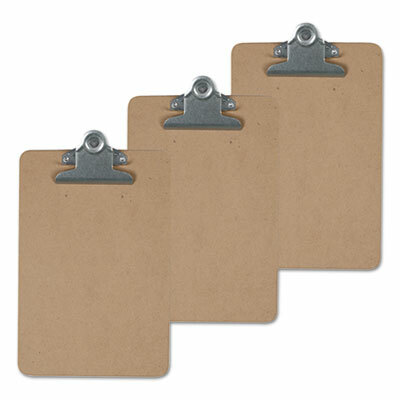 Holds Paper Size: 5 x 8; Clipboard Actual Size: 6w x 9h; Clipboard Material: Plastic; Clip Capacity: 1/2". For report covers, flyers, postcards and art projects. Use in printers, copiers or typewriters. Acid-free for archival quality. 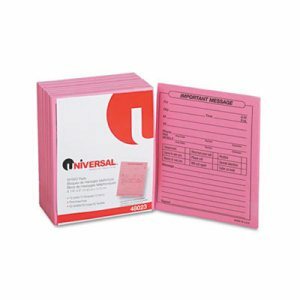 Size: 8 1/2 x 11; Paper Color(s): Assorted; Paper Weight: 65 lb; Sheets Per Unit: 50. Use to create recognition of achievements. 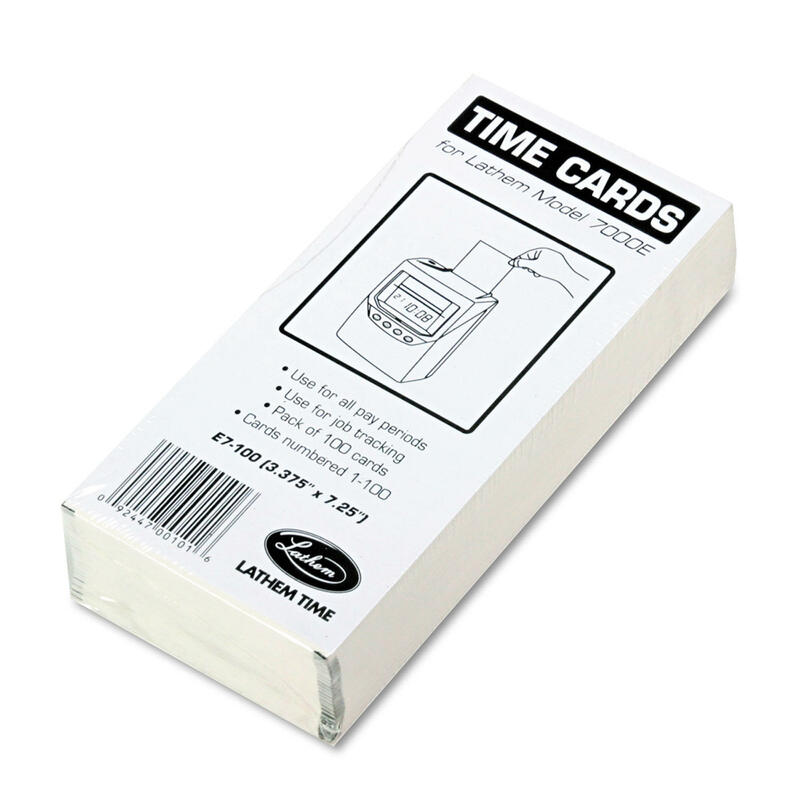 Can be used with inkjet or laser printers, copiers, quick printing, typewriters and calligraphy. For use with Geographics document covers. Compatible with all major software programs. Each has parchment finish. Theme: Flourish; Shape: Rectangular; Width: 8 1/2"; Height: 11". 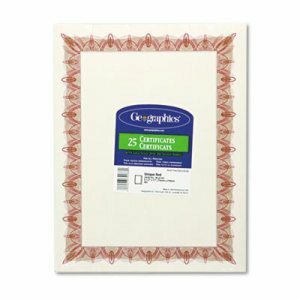 Premium grade paper, carbonless two-part sets(white, canary paper sequence). Consecutively numbered within each book. Spiral bound. This product was made from wood that came from a certified managed forest. 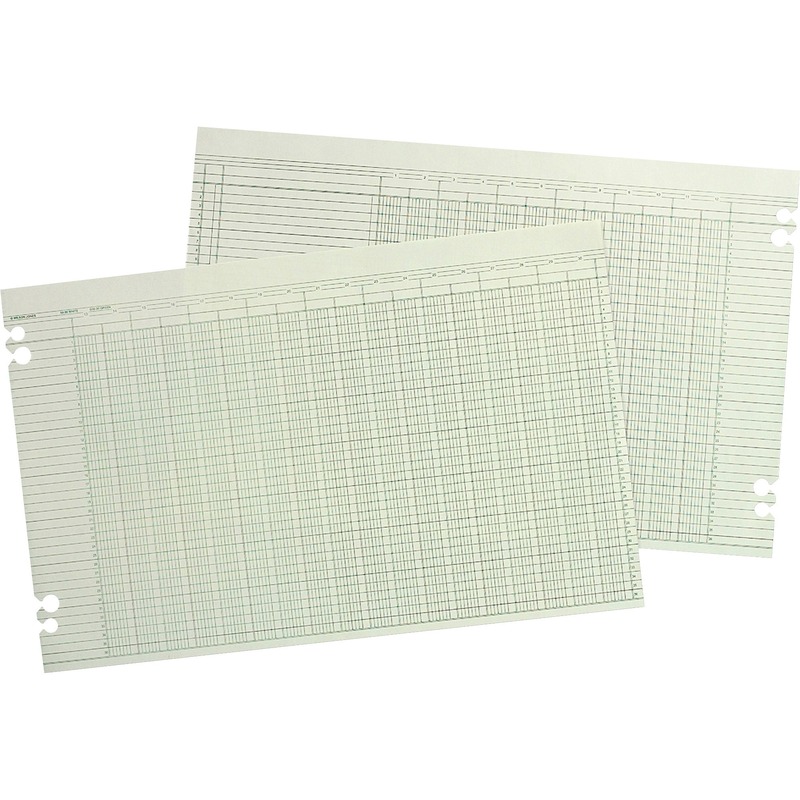 Form Size: 7 1/8 x 2 3/4; Forms Per Page: 4; Form Quantity: 200; Sheet Size: 2 3/4 x 7 1/8. 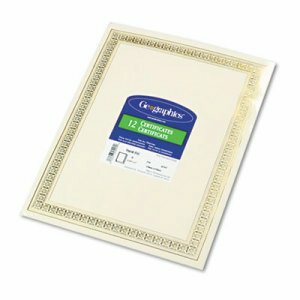 Premium grade paper, two-part sets (white, canary paper sequence). Consecutive numbers printed in red. Sheet contains areas for customer information, order number, terms, date, shipping information and salesperson. 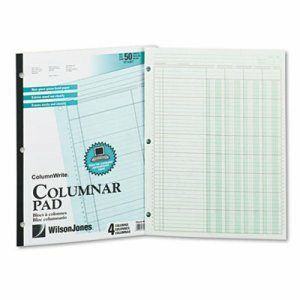 Columns provided to enter quantity, description, price and amount. 50 sets per book. 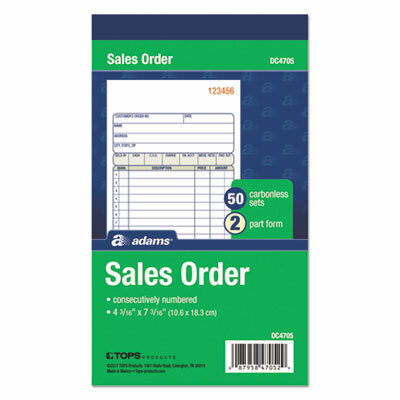 Form Size: 6 11/16 x 4 3/16; Forms Per Page: 1; Number of Entry Lines: 12; Form Quantity: 50. To report interest income; withheld and paid any foreign tax on interest, or withheld (and did not refund) any federal income tax under the backup withholding rules. One free 1096 form with each 1099 pack. For laser printers. 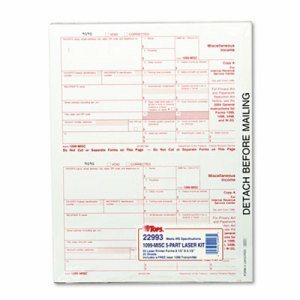 Form Size: 8 x 5 1/2; Forms Per Page: 2; Form Quantity: 50; Sheet Size: 8 1/2 x 11. Shatter-resistant plastic construction ensures durable performance in the most demanding environments. Low-profile safety clip eliminates the possibility of accidental openings, while making the clipboard easier to store in briefcases, file cabinets, laptop bags and more. SAE and metric rulers on either edge of the clipboard provide added convenience and improved functionality. 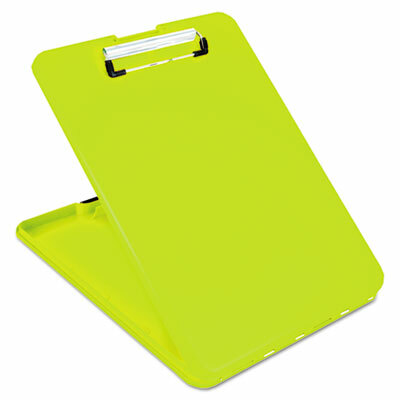 Holds Paper Size: 8 1/2 x 11; Clipboard Actual Size: 9w x 12 1/2h; Clipboard Material: Plastic; Clip Capacity: 1/2". A detailed annual account of rental property income and expenses. Keeps records for one to four properties with one to sixty units. Undated for use during any annual time period. Includes instructions and eight rental agreements. Receipt storage envelope bound-in. Wire bound to lie flat. 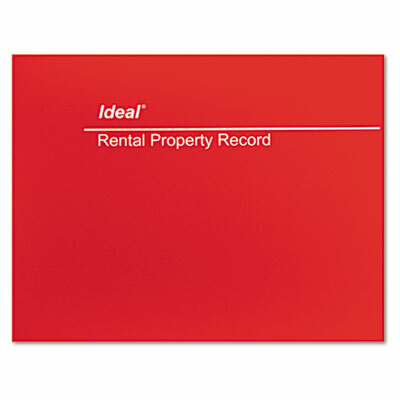 Form Size: 8 1/2 x 11; Forms Per Page: 1; Form Quantity: 60; Principal Heading(s): Monthly Rental Income Record; Tenant Record. Wage and Tax Statement. For employers to report employee income and withholding taxes to the federal government. Number of parts required by state varies. 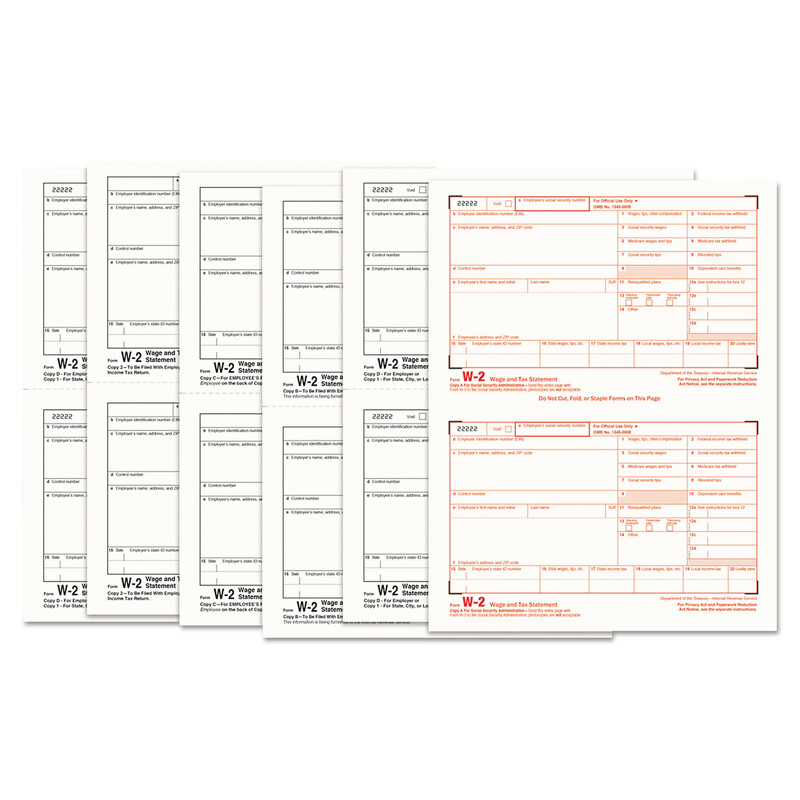 One free W-3 form included with each pack of W-2s. Two forms per sheet. For inkjet and laser printers. 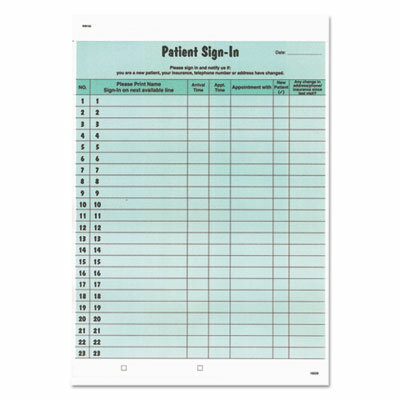 Form Size: 8 1/2 x 5 1/2; Forms Per Page: 2; Form Quantity: 50; Sheet Size: 9 x 11. Give your messages the attention they deserve. 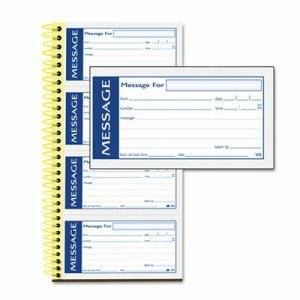 Stick your messages where they will get noticed with the repositionable adhesive on the back of part one while part two remains in spiral binding for your permanent records. Carbonless. 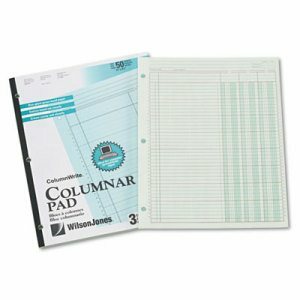 Form Size: 4 3/4 x 2 3/4; Forms Per Page: 4; Form Quantity: 200; Sheet Size: 11 x 5 1/4. Perfect for setting up computer spreadsheets. All rows and columns numbered for accuracy and fast referencing. Shaded alternate thousands columns prevent �decimal slip.� Every fifth line ruled in brown for better focusing. Punched for storage in ring binder. Perforated heading tears off when folding to fit 11 x 8 1/2 binder. 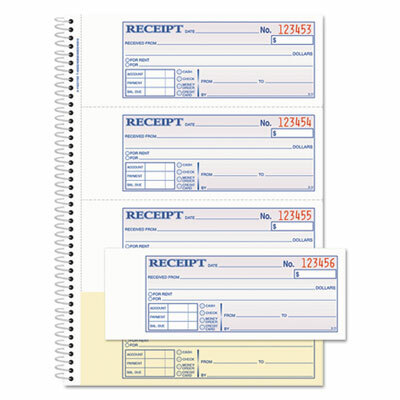 Sheet Size: 11" x 8 1/2"; Form Type: Accounting; Format: 50-Sheet Pad; Layout: Sheet Ruled Both Sides Alike; Single-Page Form. 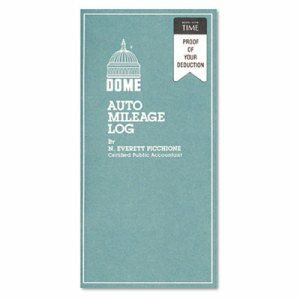 The newest edition of one of America's best-selling dictionaries covers core vocabulary with new words added from a variety of fields. More then 70,000 updated definitions, pronunciations, word origins and synonym lists as well as abundant usage examples. Reference Book Type: Dictionary; Subjects: Language Arts; Language(s): English; Number of Pages: 960. Portable storage box with clipboard for an easy on-the-go work surface. Ample interior space to hold important documents and forms. Low-profile metal clip with corner grips. Smooth writing surface. Snap closure. Plastic material is impact- and water-resistant. Holds Paper Size: 8 1/2 x 11; Clipboard Actual Size: 9 3/8 x 13 1/2 x 1 3/8; Clipboard Material: Plastic; Clip Capacity: 1/2". Portable storage box with clipboard for an easy on-the-go work surface. Ample interior space to hold important documents and forms. Low-profile metal clip with corner grips. Smooth writing surface. Snap closure. Plastic material is impact- and water-resistant. 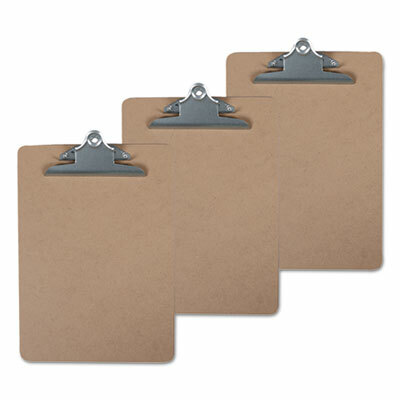 Holds Paper Size: 8 1/2 x 11; Clipboard Actual Size: 9 3/4 x 14 x 1 1/2; Clipboard Material: Plastic; Clip Capacity: 1/2". A sound choice! Manufactured from recycled materials. Features handy inch/metric ruled edges. Low profile spring clip with rubber corner grips. Retractable hanging hole. 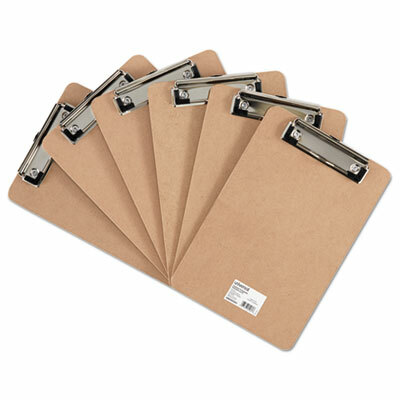 Holds Paper Size: 6 x 9; Clipboard Actual Size: 6 1/10w x 1 3/4d x 9 1/2h; Clipboard Material: Plastic; Clip Capacity: 1/2". Slim design minimizes bulk and fits easily into a backpack, a sensible purse or a briefcase while providing plenty of internal storage space. Smooth-writing surface features a premium, low-profile clip that securely holds up to a 1/2" stack of paper. Proudly assembled by adults who are blind or who have disabilities. Made from durable polypropylene with a snap cover that keeps materials protected from impacts and the elements. Perfect for the mobile professional working away from their desk. It's a great tool for keeping project materials organized! Holds Paper Size: 8 1/2 x 11; Clipboard Actual Size: 9 1/2w x 1 1/4d x 13 1/2h; Clipboard Material: Polypropylene; Clip Capacity: 1/2". High-capacity clip lets you get a grip on large stacks of paper. Durable construction. 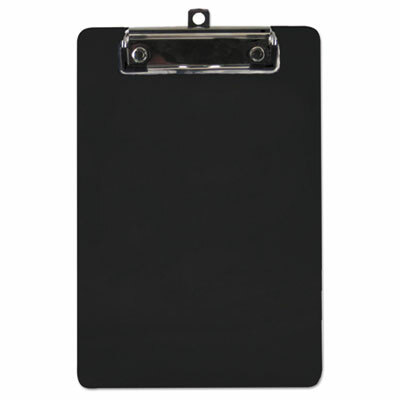 Holds Paper Size: 8 1/2 x 14; Clipboard Actual Size: 9w x 16h; Clipboard Material: Hardboard; Clip Capacity: 1".